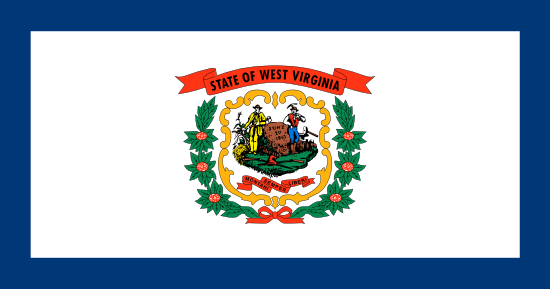 This report focuses primarily on unlawful discharge cases and settlements in West Virginia. It is usually uncommon for great cases to go to court, simply because they usually settle out of the courtroom. However, when they don’t settle, there is a lawsuit, in which only one party will be the winner. The majority of lawsuits contain mixed verdicts, which means that they involved a single, or possibly several claims of wrongful firing due to race, color, national origin, religion discrimination, age discrimination, constructive discharge, gender discrimination, sexual orientation, gender expression or gender identity discrimination, workplace retaliation or pregnancy. The table beneath shows a snapshot of the various types of claims filed and additionally their quantities in the state of WV in 2017. Chris Azzaro was the general sales manager at John Howard Motors in Morgantown, WV. In 2013, he raised complaints about safety and other improper activities at the dealership. He alleged that Randy Buzzo, the owner of the business, was involved in a scheme to avoid paying taxes by the improper sales of vehicles. He was fired not long after. He filed a wrongful termination lawsuit in 2015. In the same year, his ex-employer filed criminal embezzlement charges against him, claiming he stole $300,000. Azzaro was cleared of these charges, and amended his own wrongful termination lawsuit with malicious prosecution charges as well. Mareo R. Allen, an African-American man, worked for the construction company, Mike Enyart & Sons, on a sewer line installation project in White Sulphur Springs, West Virginia. While working for the company, a foreman and other co-workers repeatedly discriminated against Allen because of his race. They harassed him by using racially offensive language, threatening him, showing him swastikas, and even cutting his belt with a knife. When Allen complained about the hostile work environment to management, he was fired. The EEOC sued the construction company for wrongful termination in retaliation for reporting racial discrimination, which violates Title VII of the Civil Rights Act. Employment law protects not only existing employees from discrimination, but job applicants as well. Paul Ayers worked for Weirton Medical, a community hospital in Weirton, WV for 24 years as a linen technician. He applied internally for another job, that of multi-craftsman. The maintenance director interviewed him, but did not offer him the position. The director made oral and written statements, which indicated that he wanted someone younger and more energetic (Ayers was 48 at the time), and that Ayers had a back problem which might also be an issue. Ayers reported the events to the EEOC, which sued the company for violating the Americans with Disabilities Act when it discriminated against him for a perceived disability, and the Age Discrimination in Employment Act, which protects workers over 40 years old from age discrimination. Stephen Mader was a police officer working for the police department in Weirton, WV. 10 months into his job, he was responding to a domestic incident, where a suicidal man was threatening to hurt himself. When he arrived on the scene, the man had a gun in his hand, but didn’t seem aggressive or violent. Mader did not shoot the man, he instead tried to talk him into putting the gun down. 2 other police officers arrived on the scene, and seeing the gun in the suicidal man’s hand, they fatally shot him. Mader’s decision to de-escalate the situation caused him to be fired 1 month later. The official reason was “failing to eliminate a threat and jeopardizing the lives of two other officers”. EEOC v Rhino Energy WV LLC. Michael Jagodzinski worked for mining company Rhino Energy. The worker is of Polish ancestry. Jagodzinski was subjected to repeated harassment at the company because of his national origin. Offensive graffiti was displayed about him on mine walls and he was subject to ethnic slurs. He complained about the harassment to management, but he was wrongfully terminated after his complaint. The EEOC sued the company on his behalf for violating Title VII of the Civil Rights Act, which prohibits national origin discrimination and retaliation for reporting of discrimination. Bryan Perry was a salesperson at a large car dealership operated by Jim Robinson. He had a leg condition that affected his ability to walk. He asked for reasonable accommodation, but was denied his request. He was terminated soon afterwards. The EEOC sued the dealership for violating the ADA. Perry’s request for a reasonable accommodation was not even considered, and his firing could have been averted. When thinking about this catalog of wrongful firing verdicts from West Virginia, understand that the large amounts of money are as a result of punitive compensation, that are brought to discourage employers from doing the same sort of wrongful behavior. Punitive damages are quite uncommon. The vast majority of cases settle for about $40,000 to one hundred thousand dollars. Our selection of unlawful firing verdicts in WV was created for informative purposes. Even if you feel resemblance to any of these circumstances, keep in mind that every case is unique. If you feel you have been wrongfully terminated, it’s understandable that you might want to find out how much money you can expect to be given for your wrongful discharge lawsuit. In the event that you settle (or win your trial), the figure you acquire is typically determined by these factors: medical costs, emotional distress, lost benefits, the costs of finding a new job, lost wages and reason of discharge. Punitive damages may also be granted in rare cases, in the event the employer acted egregiously. As you will observe from the example claims described above, presenting an average settlement for unlawful dismissal claims in WV is challenging, because each and every claim is unique. The average wrongful termination settlement in West Virginia is between $4,000 and $80,000. Lawyers are usually beneficial when reaching a better settlement. The average courtroom awards are usually bigger, approximately $100,000 – $350,000. This is certainly one reason why employers choose to reach settlement out of court. If you feel you had been terminated for an unlawful cause, read on to find out what to do. Most important, you will want to talk to a wrongful termination lawyer in West Virginia in order to discover whether or not you have got a claim worth going after. Don’t wait, since there are actually cutoff dates to filing unlawful termination claims in West Virginia. 2nd, you will probably need to file a timely claim with the West Virginia Human Rights Commission. Here are some best practices on filing a wrongful termination lawsuit.